Christmas in July . . . 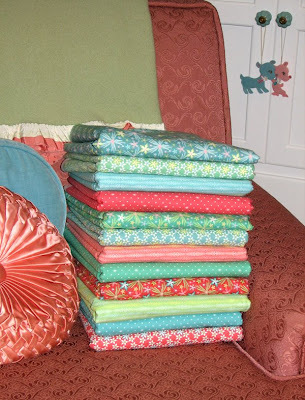 The entire fabric collection can be viewed on the Northcott site and in a short time can be found in quilting shops. 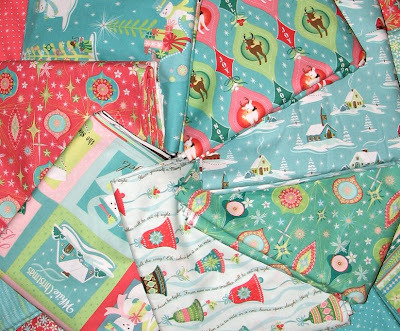 So, if the hot summer is keeping you indoors, head on over to your favorite quilt shop and find the cool, swell Christmas collection that will get you in the holiday spirit. 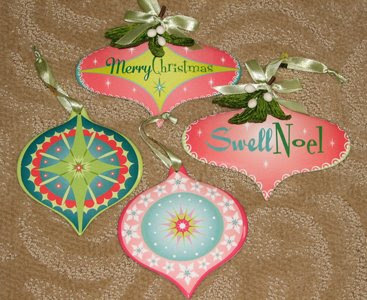 The ornaments and other holiday sit-abouts were exciting to get as-swell! Suddenly our living room looked as if we had just decorated for the Christmas season. 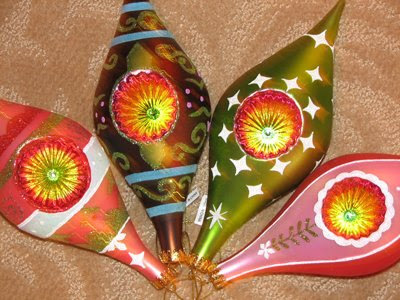 I have a few snapshots of ornaments to share now, but will unwrap the secret to this exciting holiday extravaganza when the weather cools and the Christmas season is just around the corner. So, for now, have a very berry Christmas . . . in July! No tricks pulled here, only a treat! I received samples this week of the fabric collection I worked on with Northcott called Trick or Treat Street and it is scampering into fabric shops now. I grew up thinking of Halloween more as an occasion to put together a fun costume than a time to scare people. I always enjoyed “Casper, the Friendly Ghost,” and liked the idea of a Halloween theme that played up the dress-up angle instead of “real” ghosts and spirits. Beyond the innocence of the characters, I really tried to capture that exotic feeling you get as a kid going from house to house on a cool October night--the lighting, the romance, the touch of mystery--without making it too scary. I am currently working on another collection for Halloween called Costume Club with some new cute little Halloween kids who--if we're lucky--might just wander over to Trick or Treat Street in Northcott-ville. 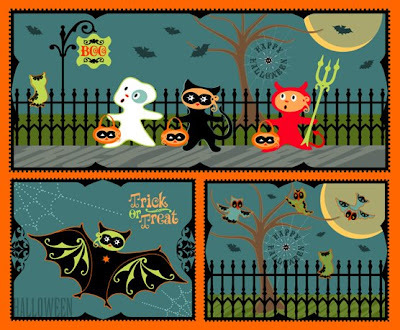 Here are some samples of the Trick or Treat Street panel and fabrics. I hope you find them a treat to look at! 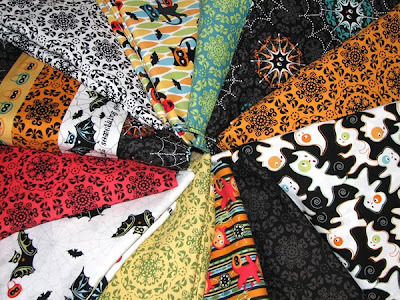 So, don't forget to take a stroll over to your local quilting shop when the weather cools and the nights are crisp. Knock on their door and ask for this little treat! I think you'll find it a rather sweet collection. 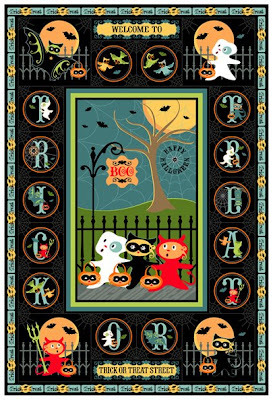 If you want to see the entire Trick or Treat Street collection go to northcott.net and click on Sheri Berry in the designer section. A return to blogging after two months! I see that it has been two months since I last posted a blog. I had no intentions of waiting so long, but all got too busy and so it goes! 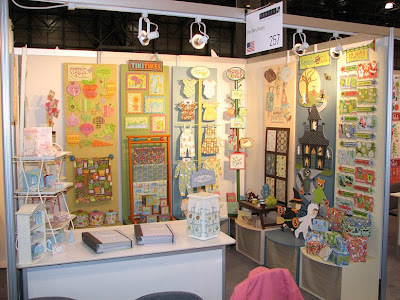 I have spent the last two months preparing for and exhibiting at a licensing show, Surtex, which is in NYC each May. We have attended for three years now and thought it would be fun to show you where my last two months went. 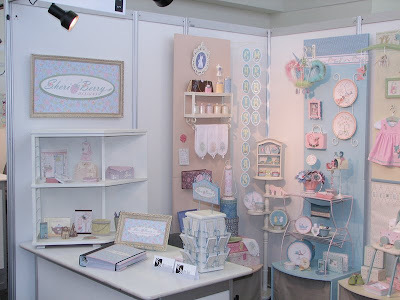 Usually, I prepare for the show for about a month getting my seven displays and a few other goodies ready for the show. This show, as I am told, is the best for artists who want to license with many types of manufacturers both here, in the US and throughout the world. I have found it to be a great show for my type of art and have made fabulous contacts as a result with other artists and manufacturers. This year's show was no exception. 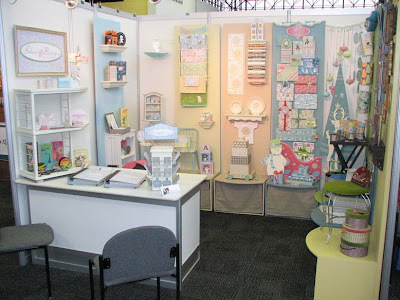 We met up with old friends, found new manufacturers and made new friendships with other exhibitors during the show. All in all, it was another great experience and one more step to finding the best fit for Sheri Berry Designs to call home. To all those who happened by our booth, I hope you enjoyed it. To those who faithfully return each year, thank you. 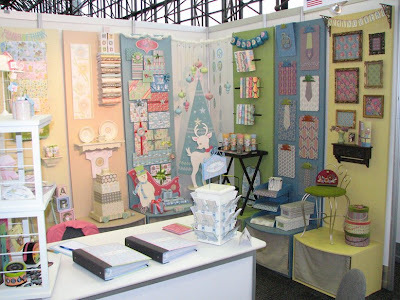 And to all the new faces we met at the show, we hope to see you again next year. 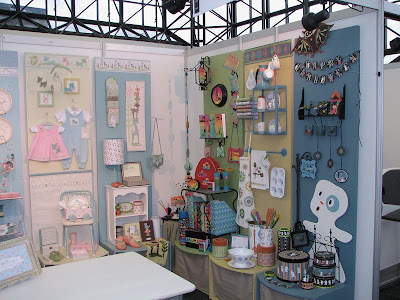 I have a few snapshots of this year's booth to share. 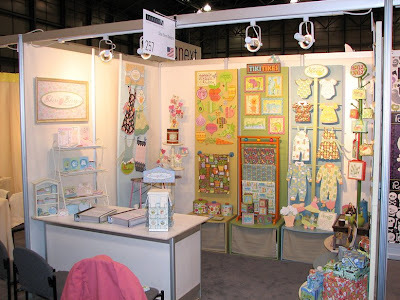 Since I hadn't been blogging prior to this year, I thought I'd show the booth displays for Surtex 07 and Surtex 08 as well. I hope this sheds a little more light into the Sheri Berry studio and how my days are spent leading up to the end of May each year.